“Not one IBS case is alike…” I have heard that phrase from my doctors countless times. Professionals are not wrong when they say it though. Since becoming involved in the IBS community, I have not come across one person with the exact same physical symptoms and food sensitivities as me, or the next person. In this case, explaining your IBS to the people around you can be difficult. Some people may have other ideas in mind when it comes to IBS, based on their encounters with others who have IBS. Knowing these tips, sharing what is “wrong with you”, to others may be a little less troublesome. 1: Who should you tell that you have IBS? Other than your doctors, not everyone in your life needs to know about your IBS, if you like. Your health is a private topic and you can choose who you can be open to. People you should consider telling that you have IBS are close family/friends, spouse/significant other, and your employer. The people you tell should be open minded and trustful people. Do not share your health if you feel like the person may use it against you. Yes, society likes to “shame” or have IBS be a “taboo topic” which makes building a support system not a walk in the park. Most people, in general, are more likely to be understanding if you have to leave work/school early or if you have to cancel lunch plans if they are aware of your health. 2: When is the right time to discuss it? Some may think never there is the right time to explain one’s IBS. Planning a “perfect time” should be in a calm and open-minded environment. Again, it is a touchy topic, talking about your IBS is not ideal on a first date or at a professional work function with your colleagues. When I share with someone my IBS, I keep it one on one. This may entail, face to face conversations or sending a text if this feels more comfortable at the time. Your health should not be taken lightly. IBS, in any form, are not simply stomach aches. 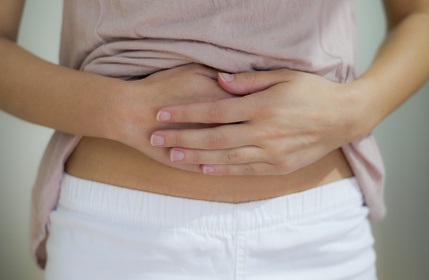 IBS symptoms can range depending on the person and severity. When attempting to explain your IBS to another, use the full name. If you use the acronyms, they might not know what it is. Tell the person how it affects your daily life and the symptoms you have. Example: I have irritable bowel syndrome or otherwise called, IBS. It disturbs my daily life. I tend to have painful stomach, fatigue, moderate to severe constipation/diarrhea, dizziness, and nausea. It is a real chronic disease and there is no one cure for it. I manage my symptoms as best as I can and try to live positively. In a perfect world, everyone would be understanding of everyone ’s health issues. Unfortunately, that is not the case. When trying to explain your IBS to others who may not understand it yet, they can come off insensitive. Most people are trying to help and others might say “it is all in your head” or “IBS is not that bad.” If you come across a remark like this say “I know my body the best but I appreciate your input.” In my experience, this may avoid heated debates about your own health. In time, talking about your IBS to others won’t seem like such a hassle. Surrounding yourself with supportive people such as beloved family and friend or support groups will make the quality of life better in your IBS journey. You are unique, and whatever type of IBS you are struggling with, it does not define you. Do not let stigmas or negative thoughts ruin your headspace and try to keep your head high. Disclaimer: Everyone is made beautifully different and every situation is unique. These are tips I have learned in my own life. Hopefully, by reading the following, you or a friend can benefit insight on how to deal with chronic pain at school or in the workplace. 1: Make sure people know about your condition. Letting people know does not mean sharing your condition to EVERYONE. *Don’t be that person. People might take it wrong and your illness doesn’t define you. * Letting people entails, letting your teachers know so they understand why you may need to go to the bathroom more or why you are distant on flare up days. Teachers care about you even though they can be intimidating. Sharing your condition to your teachers and friends builds a support system which is crucial when battling any physical or mental issues. I have bonded with several of my teachers and school friends over the topic of my health because a lot of people seem to, unfortunately, relate to chronic pain in one way or another. Yes, you might not know when a flare-up will happen but it is always good to be prepared. Being ready for the worst, to me, is having a “personal bag,” in my backpack or car. This bag should be small but contain materials that help you on the go. In my bag, I have, anti-gas tablets, over the counter painkillers, any medication I am at the moment, baby wipes, laxatives, my oil diffuser pen, a small water bottle, Midol, and period necessities. lf you are going through a flare but still need to attend school take breaks throughout the day. When I was full time at my high school, I was friends with the nurse and she would let me lay down during lunch or before school. For older teens, take advantage of having a car and rest in it during lunch or even during assemble’s… just do not let anyone catch you skipping them! ;). Being kind to yourself entails a change of thoughts towards you. With my own anxiety and insecurity about myself, I try cognitive therapy at school. I interrupt thoughts of self-hate or doubts with positive ones, remembering who created me in their image. I tend to do this when I compare myself to healthy people at school who have better grades than me. Your mind is stronger than you think. Furthermore, when a person has experienced pain for long periods of time, a sort of pain endurance is developed. Having mental distractions like focusing on school work helps with enduring pain. I put in headphones and listen to soft music while I work. It is a double dose of pain distraction for me. If your pain is unbearable to the point of passing out or you can’t focus enough to be at school, go home or to the hospital. These tips are for daily or moderate flare pain, not for intolerable pain that may need medical assistance. The worst thing is missing school because of your health. Make sure you get a doctor or parent note when absent from school because the missed days will sneak up on you. I learned this the hard way because my old school threatens me to go to court due to missed days. I am a perfectionist at school and work myself too much and staying home because my stomach is already enough stress. Bring that note and have your friends send you the assignments! Welcome to talkhealth. Thank you for your very informative blog. We look forward to reading your next instalment.